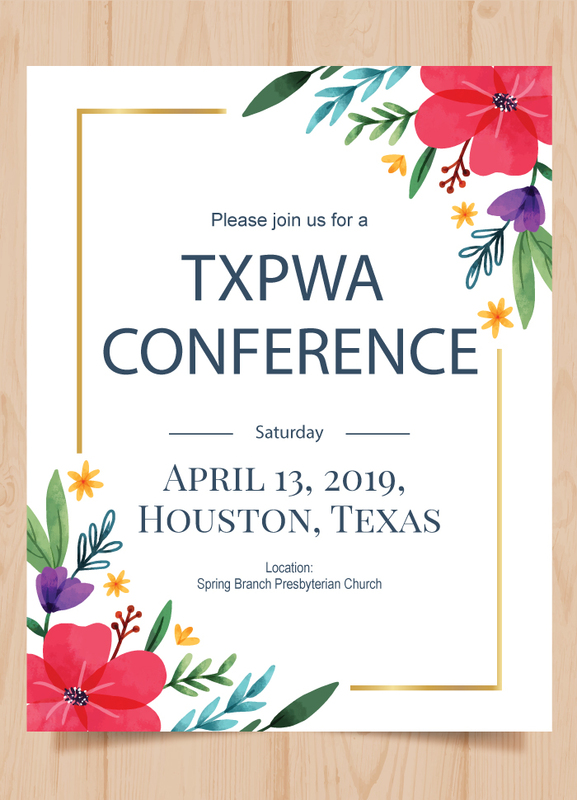 Everyone registered for our April conference by 12:00PM, Sun., March 31 gets entered into a drawing to WIN $500.00 to put towards attending the upcoming PWSA(USA) Conference in Florida, or the FPWR Conference in NOLA. Discounted hotel rooms are $89.00 for a limited time. For reservations contact: Carolina Menjivar, (713) 827-3507, cmenjivar@valenciagroup.com.